We would like to inform you by clicking the hyperlink, you are leaving www.sc.com/id and will enter a website which operates by another party. We provide this link for customer convenience and Standard Chartered cannot control, support, and not responsible over its contents. 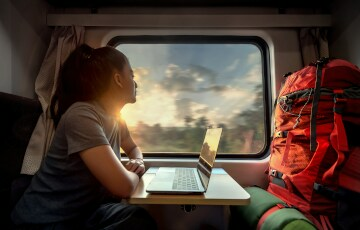 Standard Chartered introducing 2 travel insurance from Allianz Insurance Indonesia for you. New TravelPRO for your short trip and New Annual TravelPRO Plus for you who travel to overseas frequently. New Annual TravelPRO Plus is a general insurance product issued by PT Asuransi Allianz Utama Indonesia provides insurance protection benefits for customers when travelling for 1 year. Permanent residents who live or work in Indonesia. Hold a valid Indonesian identification document such as KTP, Kitas, Kitap, long-term visit pass or student pass. Start and end Your Trip in Indonesia (for return-Trip cover). Have fully paid the Premium. Must be at least 14 (fourteen) days from birth or not more than 65 (Sixty Five) years old (New Annual TravelPRO Plus). Aged 14 (fourteen) days from birth or not more than 84 (Eighty Four) years old (New TravelPRO). Afghanistan, Democratic Republic of the Congo, Cuba, Iran, Iraq, Liberia, Sudan, Syria, dan Crimea Region of Ukraine. 1. 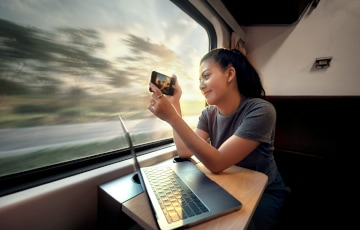 This reward promotion applies to anyone, both Standard Chartered Bank Customers and Non-Standard Chartered Bank Customers who purchases NewTravelPro through Standard Chartered Bank’s website and is entitled to an e-voucher worth @Rp10,000, @Rp25,000, @Rp50,000 OR @Rp100,000 (depending on transaction value). 2. Cashback promotion is only valid for purchases of travel insurance using all types of Standard Chartered Bank Credit Cards through Standard Chartered Bank’s website. 3. 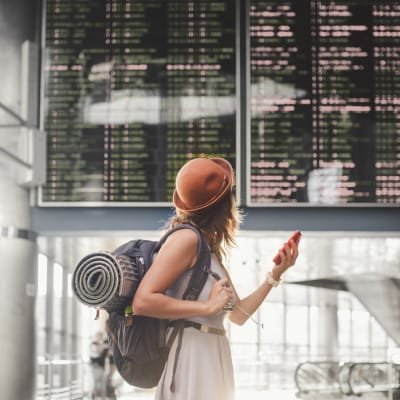 If the Customer at the same period purchases unit link or other types of insurance policy using the same credit card as this travel insurance policy, the other policies will not be included in the calculation of promotion. 4. The Credit Card must be active or not blocked for any reason, when Standard Chartered Bank credits the cashback back to the customer. 6. Reward will be sent to customers who is entitled maximum 1 month after the policy is sent to their respective email addresses. Cashback will be credited to customer’s GoPay account balance within a maximum of 30 working days since the Policy is received by the Customer from Allianz. 7. Customer must ensure that the mobile number listed in the policy is the telephone number that has been registered in the GoJek application. Standard Chartered Bank is not responsible for the failure of crediting cashback, due to Customer’s mobile number that has not been registered in the GoJek application. 8. Prizes are not in cash, cannot be replaced in other forms and cannot be transferred. 9. This promotion cannot be combined with other promotions. 11. Allianz and Standard Chartered Bank has the right to change, eliminate or add terms and conditions to the applicable policies without prior notice to the Policy Holder. PT Asuransi Allianz Utama Indonesia has been registered and supervised by OJK and sales staff are licensed by Asosiasi Asuransi Umum Indonesia. Produk New TravelPRO / New Annual TravelPRO Plus are an insurance products issued by PT Asuransi Allianz Utama Indonesia. This product is not a bank product and is not included in the scope of The Deposit Guarantee Program by Lembaga Penjamin Simpanan (LPS) as referred to and regulate in Constitution and LPS provisions. This product has exceptions where insurance benefits cannot be paid. It is listed and explained in detail to the exclusion conditions set forth in the Insurance Policy. This product has obtained a letter of registration and/or approval from OJK pursuant to prevailing laws and regulations. Premiums paid already include all expenses for this insurance product including the commission for the Bank. Customer who purchase this product must read and understand all the terms and conditions as stated in the insurance policy. Standard Chartered Bank registered and supervised by OJK acts as the referring party of this product and therefore Standard Chartered Bank does not share the risks arising from this insurance product.